The Ruby Slip – Free Pattern and Sewalong! 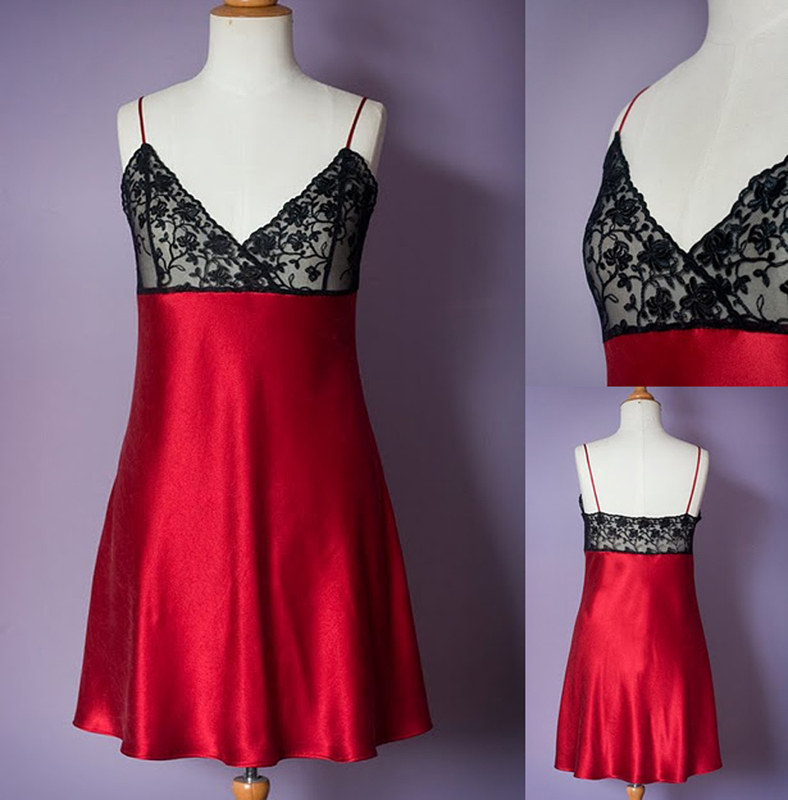 This free pattern for the Ruby Slip is a special gift for all my blog readers! It has a gorgeous lace bodice and flattering bias cut skirt, and is easier to sew than it looks. Remember to download the instructions too, where you’ll find the sizing, yields, cutting and sewing instructions. I designed the pattern sheet with the pieces overlapping “Burdastyle style”. It means less pages to print and stick together, but it also means having to trace your size off. I thought saving the grade nest for further use would be a good idea as Ruby is a great gift to make for your friends too! I just made my first ruby slip, and i love it, it’s anging to drop as I write this, and I’m looking forward to wareing it very soon. Thank you so mutch for sharing this beautiful pattern.